Costa Rica is one of the most biodiverse countries on the planet. But deforestation has had far-reaching effects on many of the 875 species of birds living there. From the 1950s to the 1980s, clear-cutting was a popular form of logging in Costa Rica, said Geraldo Vega, director of La Selva Conservation Center. Clear-cutting a portion of land was how people proved ownership of an area. Loss of trees led to loss of birds, as there is a symbiotic relationship between species of trees and species of birds, Vega said. 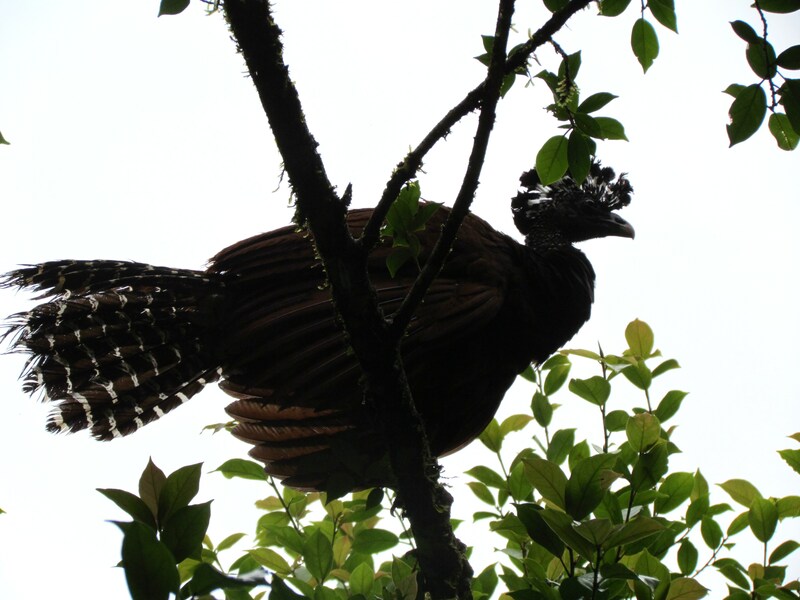 A female Great Curassow perches in a tree at La Selva Biological Station. For example, the White-Collared Manakin eats fruit from coffee trees and then disperses the seeds, Vega said. “Losing habitat is the main thing that kills birds,” said Mike Wells, a graduate student from the University of Minnesota who is studying wrens at La Selva Biological Institute. The Great Green Macaw eats fruit from the mountain almond tree and lives in its canopies. Mountain almond trees were logged extensively until 2008, and this directly endangered the Great Green Macaw, Vega said. In 1994, only 202 Green Macaws existed. The species is starting to make a comeback – its number has grown to a little over 300 today largely due to progress with reforestation efforts, Vega said. However, reforestation is not a quick fix for many bird species, which have very specific needs to survive in the tropics. 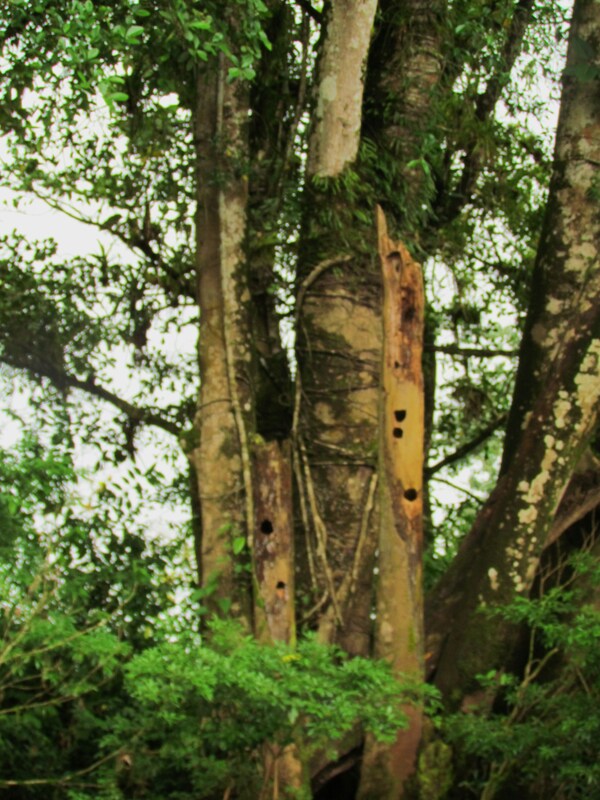 Woodpeckers and parrots in the Sarapiquí region of Costa Rica dig holes in trees for nesting and raising their young through the fledgling stage. Other birds also utilize cavities in trees, Wells said. These trees have been excavated by woodpeckers. Because the trees need to be a certain diameter for the woodpeckers and the parrots to be able to excavate them and it takes up to 50 years to reach the appropriate maturity, the lack of old growth trees can be a problem, said Lenin Duarte, a tour guide at La Selva Biological Station. In addition, getting birds to the fledgling state is difficult in the tropics. Nesting in an area like Sarapiquí has a success rate of about five percent, Wells said. This is because birds in the tropics tend to be monogamous, lay fewer eggs and live a fairly long time. Adding urbanization as another factor that birds have to combat makes their chances of survival slimmer. The Nicaraguan Seed-Finch is another species that has been negatively affected by urbanization. Their main habitat used to be a marsh a few kilometers from La Selva Biological Station in Sarapiquí, but all the water was drained from the marsh for a pineapple plantation and they have had to relocate, Lenin said. Forest fragmentation in Sarapiquí poses another set of problems, Wells said. Some birds are forest specialists, meaning that they need to live in a specific area of a forest in order to thrive. And when light gaps are created by power lines and other forms of urbanization, the birds cannot travel and become isolated to an area, Wells said. When species become too isolated, it becomes more difficult for birds to mate, Vega said. 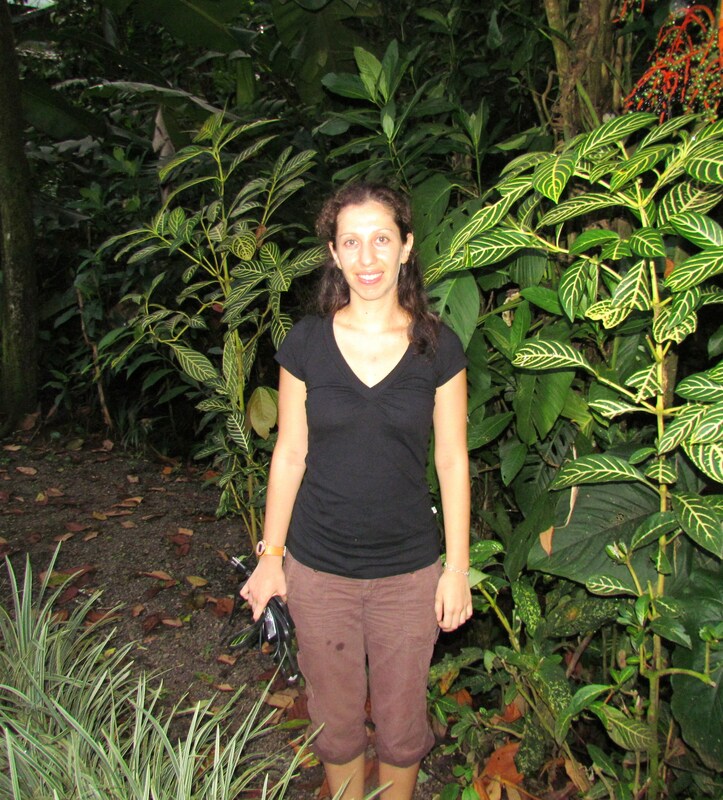 Adriana Tomar-Martínez, a graduate student from the National University of Costa Rica, is comparing birds in protected and selectively logged areas in Costa Rica. Adriana Tomar-Martínez at Selva Verde Lodge. “Selectively logged” means that trees are extracted every 15 years in an effort to minimize negative effects on the forests, Tomar-Martínez said. She plans to use her findings to make management recommendations to FUNDECOR, a non-profit, non-governmental organization in Costa Rica, so that it can manage the forests in a more sustainable way. To effectively compare birds in the two areas, she set up recorders in 10 different forests and recorded bird vocalizations from 5 a.m. to 7 a.m. for three consecutive days. Tomar-Martínez uses the bird vocalizations to identify the different species of birds. 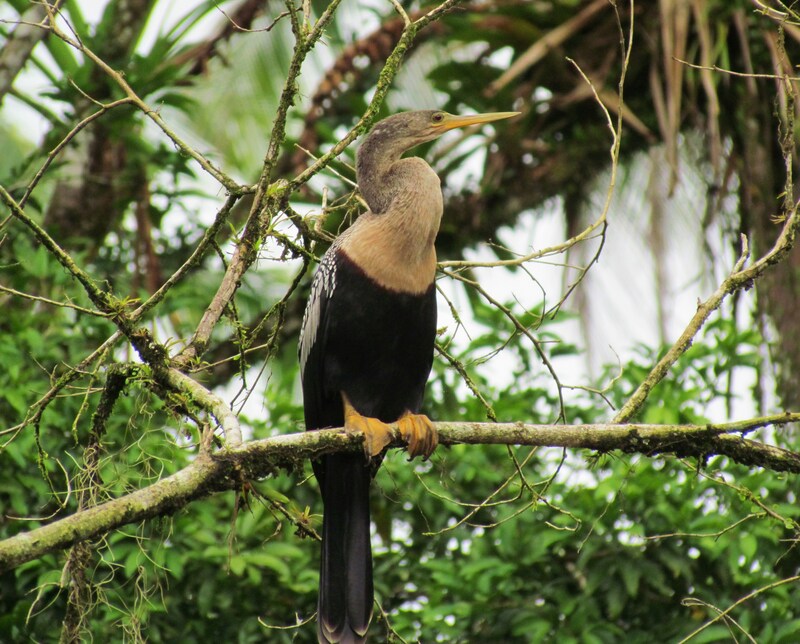 While Tomar-Martínez started her year-long project in April and believes that it is too early to draw conclusions at this stage, she has observed that rare species of birds are only found in protected areas but that managed forests have more species. She believes that managed forests have a greater number of species because managed areas generally offer a wider variety of habitats than protected areas do. For selective logging to be a competitive yet sustainable business, it is imperative to monitor changes in animal populations due to logging, Tomar-Martínez said. “The tropical forest is the most biodiverse type of forest, but it’s rapidly being destroyed,” Tomar-Martínez said. Birds at La Selva Biological Station sing in the wee hours of the morning. Photos, story and sound recording by Hope Miller.